Thinning of the skin on the neck can cause wrinkles and vertical bands (also called platysma bands) to become more prominent making a person look older. Botulinum Toxin treatment in Singapore has been proven safe and effective in reducing the effects of aging on the neck area. Botulinum Toxin works by relaxing the muscles that cause lines and bands to develop. Best of all, Botulinum Toxin injections do not require surgery or a long recovery. In fact, you can return to your normal activities directly after your appointment. 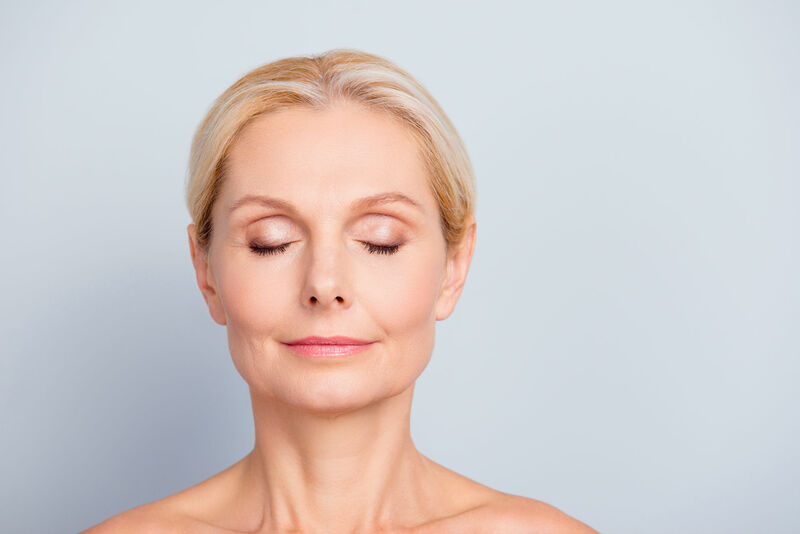 Learn more about Botulinum Toxin and how it can be used to relax neck bands and wrinkles. What Exactly Is Botulinum Toxin? Botulinum Toxin is a brand name for Botulinum toxin, a highly purified protein which is injected in very small doses to reduce and eliminate wrinkles. Previously, US FDA has approved Botulinum Toxin since the 1980s to be used to treat certain medical conditions such as eye muscle problems and muscle spasms. It’s effectiveness in reducing wrinkles was discovered more recently where patients receiving Botulinum Toxin for a lazy eye were also found to have fewer wrinkles. Botulinum Toxin was then cleared by the FDA to treat the frown lines in the year 2002. Since then, doctors have been using Botulinum Toxin as a safe wrinkle treatment that can be used to treat the lines on the face and even the neck area. What Causes Neck Bands and Wrinkles? As we age, the dermis gradually loses elastin and collagen. The layer of fat under the skin known as the subcutaneous layer also starts to deplete over time. As the skin becomes thinner, less moisture reaches the epidermis, causing it to sag and form wrinkles. Neck bands have another cause altogether. Known as platysma band, the thin layer of muscle has the sole function of maintaining the contour of the neck area by sharpening the neck angle below the chin. This group of muscles that hold the neck and jawline can separate during the normal aging process. This can result in a sagging jawline and a drooping chin, as well as the loose skin on the neck area that form vertical bands. How Does Botulinum Toxin Work for the Neck? Today, Botulinum Toxin is commonly used as a wrinkle treatment in Singapore. When injected into the treated area, Botulinum Toxin temporarily block the signals that go from the nerves to the muscles. This causes the muscles to no longer contract, forcing wrinkles to relax and soften. Injecting Botulinum Toxin into these neck bands can also relax the bands enough that they will lie down, rather than protrude outward. The number of units (dosage) will depend on the strength of your muscles and whether the bands are visible all the way down on the neck. It takes an average of at least one to two weeks following the procedure to see the full effects. Avoid alcohol for at least a week prior to the procedure and stop taking any anti-inflammatory medications at least two weeks before the treatment to minimize bruising. When injected into the neck, Botulinum Toxin can relax the muscles causing wrinkles and neck bands for a more youthful look. Most patients find Botulinum Toxin to be only slightly uncomfortable similar to tiny ant bites that lasts only a few seconds. Numbing creams can also be applied to make the treatment more comfortable. To maintain the results, you will need to undergo regular treatments of at least one Botulinum Toxin treatment every three to four months. Be sure to only have Botulinum Toxin injected by a trained and certified aesthetic doctor, such as our Harvard-trained Dr. Sylvia Ramirez. Learn more about Botulinum Toxin and its effect on neck bands and wrinkles by calling the Cutis Laser Clinics in Singapore today.